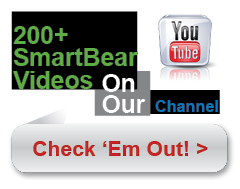 Unprepared Geeks is SmartBear’s biweekly video-podcast about all things tech and quality. Tag along as the people behind soapUI and loadUI get together and discuss recent events, gadgets, and hot topics. Even if you're as big as Google, factors outside of your direct control can impact you. How should you handle this? 6:30 – What's a bug worth? The team discusses Guillermo Winkler's blog post about his three ways to decrease bugs: Continuous integration, developing with operations in mind, and using the right tools. Is he correct? The team throws their verdict on a few of the latest events, gadgets, and topics and decide which ones, if forced, they would marry, boink, and kill. Unprepared Geeks - "Windows 8 Special"
Unprepared Geeks - "Lipstick on a Pig"
Unprepared Geeks - "Chaos Monkey"